After all the time waiting for Studio Wildcard to deliver on its promise of integrating the super popular S+ building mod into the core of ARK: Survival Evolved, it finally happened! 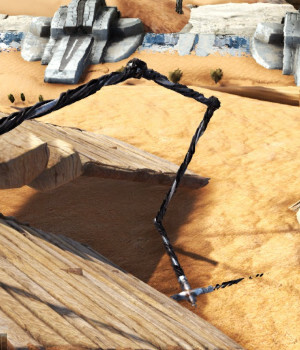 Few players were left believing it actually would, especially after the deployment of the studio’s newest pet project, Atlas. Perhaps against better judgment, I held out a slim hope, so I was pretty happy when that hope was rewarded a couple of weeks ago with the release of the Homestead update. Sadly, that feeling was short lived. I logged in. No, it wasn’t quite that bad. Although I felt I kept my expectations fairly low (after all, I know where all the development time and money is going, and it isn’t ARK), this big building update didn’t seem quite so big. Maybe it’s mostly underwhelming because of the year-and-a-half wait we’ve had for it to be added. Perhaps it was just too little, too late. It left a taste of disappointment for what could have been. And one thing it could have been was a shred of hope that WildCard cared anything about its inaugural game or players. Now, WildCard was open from that first announcement that not all of the S+ features could be integrated into the game. And it emphasized this on three separate occasions. Mirroring the announcement the previous October, WildCard’s programmer took to Reddit in June 2018 to re-emphasize the statement and ask players which pieces they’d most want to see. Then again in August, the studio repeated the same warning to folks with the added fact that any improvements wouldn’t come until after the Extinction expansion launched. Come November we got Extinction (with a few extinction-related bugs). And then it wasn’t until March 2019, 17 months after the announcement, that the S+ integration finally made it into ARK. Why such a delay? There is no doubt that Studio WildCard turned the bulk of its attention to its newest cash-collector project, Atlas. (This was certainly the teased sequel that the studio tried to backtrack on clear back in November 2017.) In December 2018, we had confirmation as Orionsun — the mod’s creator — clearly informed the player base that he had been working on Atlas specifically with S+. Pretty much rubbing salt in the wounds of those who kept waiting for ARK to get its promised features and optimization, Orionsun stated, “I will say that the building system in Atlas is not only everything I wanted to do in ARK but also so much more.” Yeah. As any but the most die-hard Studio WildCard apologists already knew, ARK and its improvements seem to have been just tossed to the wayside in favor of the new shiny. I am pretty sure if the team wanted to really devote some time to it, it could have been done quicker. Even the creator of it, who was brought on board to do just that, was instead working on Atlas as a focus. I hate to be a skeptic, but I almost have to wonder if it only finally came out because two other other survival games had really huge updates that week (Conan Exiles had a massive one and Space Engineers launched out of Early Access with big improvements) and ARK wanted to get in on the attention. Even though I doubted the day would come, I was excited when the S+ integration was finally launched. I still held out a teensy bit of hope that it would be awesome. After all, building is my favorite part of the game, and things to make building better is always better! As soon as the update hit, I was ready to show it off. And that is what I did, though admittedly I held back a bit so I could do it live on OPTV. This may or may not have been wise as my disappointment in some aspects was pretty pronounced. While I was excited about the new items (yay for triangles and skylights! ), after such a long wait, it felt like just a pittance of them arrived. As I delved deeper, I did find a bit more to the update, but not enough to fully compensate for those disappointments. So what was included in Homestead? There might be other building pieces I’ve missed, but here’s the crux: You’ve got the triangle foundations, ceilings, and roofs that enable you to make rounded towers. There are double doors, fence supports, large wall pieces (four walls high), and genuine stairs. Stairs! You’ve got bendable pipe and electrical cable pieces that would have saved me a bajillion headaches when building my Aberration cliff castle! Tek also received a special storage box that holds only one item, but nearly 2000 stacks of it. Talk about a godsend for builders! I like the ability to to tell what is what at a glance, and the fact that they are stackable is also awesome. Other interesting features includes the ability to change the texture and look of the square foundations, the ability to instantly pick up a misplaced item, and the ability to convert stars to a ramp of equal size. The foundations and stair changes can be done at will; however, the pick up feature has a very limited time frame. The large wall pieces don’t match the regular wall pieces, so they look out of place. And the one I’d so love to have a large wall for, the greenhouse, doesn’t have one. Thatch is also left out. Only the square foundations can have their texture changed. The triangles cannot, nor can the wall pieces. This looks especially bad if you want an uniform look. If you attach a triangle roof a single-story doorframe, you can’t get in without crouching — even as a short character! This is especially annoying when moving about a build. The double doors are only on a single foundation, so you don’t really get a larger door. You still need to use dino doors of you want a larger opening to your abode, and these do not have snap points on top to continue building. The timer to pick up placed items is only 30 seconds — helpful if you snap it wrong but not if you place a couple more and discover that things won’t line up. Up to five minutes would have been so much nicer. Other storage does not get the ability to snap together and stack. One of the S+ suggestions I would have loved to see implemented was fuel-less torches. When you decorate with a ton of those, running around every little bit to keep refueling them is a nightmare. Toggling the visibility of pipes and cables would have been oh-so-awesome as well (although you’d have to wonder if you could find them again if you needed to redecorate!). Perhaps you got too frustrated waiting for Studio WildCard to make good on its S+ promises. Maybe you were disappointed with the core game version missing some vital elements once it finally did launch. So you decided to just keep playing on the original mod. Well, sadly that may not be the safest route either: There’s a chance your S+ mod is going to break and there will be no one there to fix it. 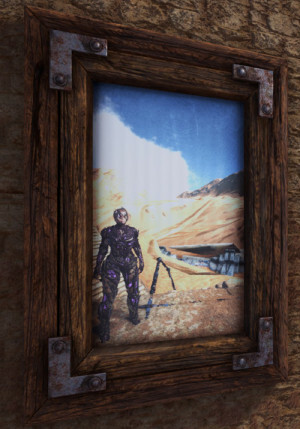 Perhaps WildCard will be able to fix the issues when they crop up. Orionsun stated, “People also tend to worry that Wildcard will push an update and it will break S+ but that has already happened multiple times and every time Wildcard has fixed the issue quickly.” Or perhaps it won’t break. After all, ARK is receiving so little development attention, maybe there will never reach a point when the codes clash. Maybe. But having little to no development being somehow a good thing is pretty darn sad. As someone who pays attention a lot to this I already knew it but I was glad to see you had included all the Orionsun info here as well. 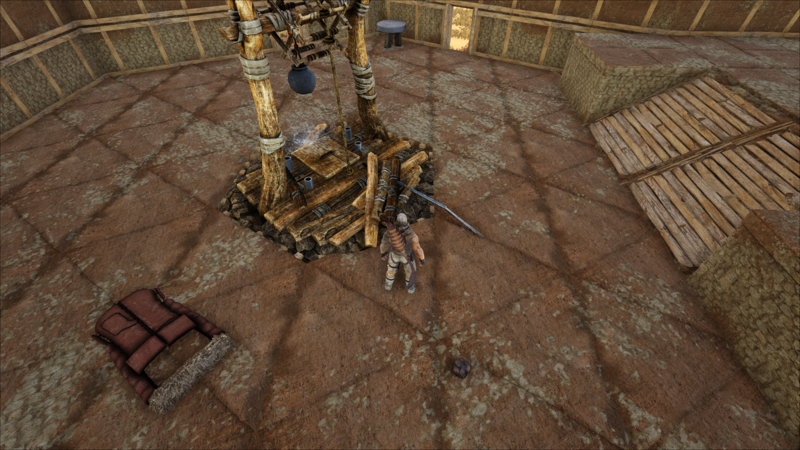 I haven’t played with Atlas, but I have to say Conan Exiles by far has my vote for best building system that I’ve experienced to date with the ability to naturally stack foundations or raise/lower foundations allowing for some very good builds that look naturally build into the environment. You can adjust the pickup times in your .ini file as a setting with the S+ deployment. S+ basically breaks down between new building features (which were mostly included in Homestead) and quality of life features. The only real building features you’re missing at this point is see through glass walls that are as strong as metal and internal piping/wiring. They’re quite nice for making a home with a view. Also Triangles themselves open up some pretty amazing designs, like my personal favorite out of all the maps was this base I built that incorporated the Well into the center of my building using triangles. The QOL features of S+ just were never going to be in ARK but they are absolutely game changing. The NPCs you can make that do things like auto tend your farms/poop, automatically cuddle/feed your baby dinos, or beehives that water your crops are the kinds of things that actually let you focus on the parts of the game that are actually fun. A Vivarium that’s really a mini island that you shrink your dinos into but they keep laying eggs in? Amazing. Fact is that ARK has built it’s game play almost entirely around tedium and not fun, so anything that reduces tedium just wasn’t going to make the cut. I didn’t know you could adjust pick up time in the .ini, thanks! Although that won’t help anyone on official, that can help us. Ans I get ya with the whole tedium thing. We’ve gone and adjusted things so much just to erase the tedium now. After all these years we just aren’t interested in mega farming for gas anymore lol. Exploring, building, and breeding is what the group wants to do, so that’s what we focus on now. It’s a difficult thing to balance. On the one hand, the default “official” settings are an absurdly brutal time sink designed to punish you for not playing 24/7. On the other hand it’s so easy to basically cheat in ARK. Higher gathering settings invalidates stats like melee damage which massively boosts gathering. Faster tame times can invalidate needing kibble and all the work associated with that. Nevermind the endless amount of mods that will cheat for you as well. We can justify it 1000 different ways such as we’ve put in thousands of hours already or don’t have the time but it’s a really slippery slope when you get down to it. Yup. Is why we didn’t really mess with anything much initially. But our small group can call the shots on our small server that is not there as a main game for anyone at all — just a fun time to jump on together and do some stuff. If anyone wants to experience the game, I steer them toward servers with that focus. That’s why I love private servers: We meet our needs for a game and others can find what they want out there as well.